My first tournament as an expert will be tomorrow at the Emporia Open. Although I’m not the top seed I hope to be able to compete for 1st place in the last round. With five rounds to play, I’m aiming for at least 4/5, a full 1.5 points better than my performance last year. I’ll post my best games from this weekend here on my blog some time next week. PS: For any avid fans of this blog out there, I’ll be posting more once my college application process is complete. A long, detailed post takes at least an hour to write, so its been difficult the past few weeks, especially with the multitude of tournaments I have to prepare for. Thanks for your understanding. I broke 2000 last week at the Washington Chess Congress, and here is my best game with analysis from the weekend. Enjoy! Sorry for the long break, but I FINALLY broke 2000 last week in the Premier section of the Washington Chess Congress. I’ll post a video on my youtube channel this weekend with my best game from the tournament. I finished 3/7, with one win, four draws, and only two losses. I should earn my 1st of five Candidate Master norms at some point this week. Hi everyone! I’m back with my fourth mailbag! As you know, each week I answer 4 questions that I have been asked since my last edition of the mailbag, either from coaching my high school team, or questions submitted by you guys, the viewers. Hopefully, you may find that some of these questions are similar to yours, and if not, maybe you’ll learn something new! 1) Congrats on breaking your all-time high rating this past weekend! What was your best game? 14.Nd5 This move was premature. My opponent wanted to play f3-f4, so this move is actually mistake. 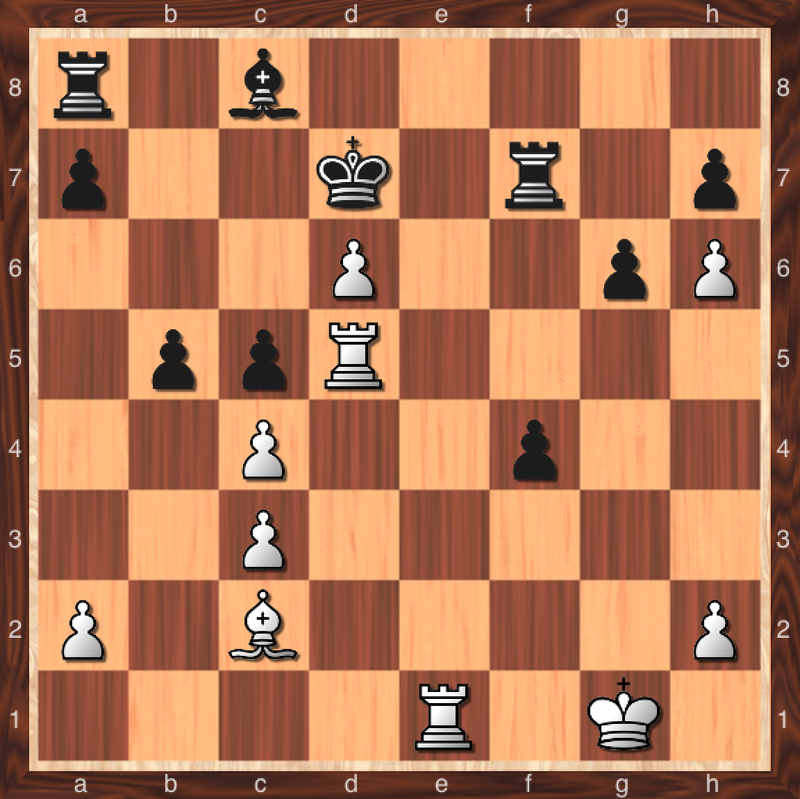 Because the knight protected e4 from c3, White now has less flexibility, and a smaller margin for error. 18.f4?? When I saw this I expected my opponent to sacrifice the knight and play 19. f5, but 19… Qg5 wins for Black. 37…d5! Creating a passed pawn. This was a nice game because I punished my opponent for his 14. Nd5 plans. The game was relatively easy after I got up the exchange. 2) The Washington Chess Congress is this weekend. How are you preparing? With one week left, there is very little you can do to improve your game. I will be playing in the Premier Section (same section as US Chess Champion GM Gata Kamsky), and all I will do this week is tactical exercises and review my opening lines. Try to get in some practice G/15 games online or with friends to practice, but don’t stress out too much. 3) Last week’s tactic was tricky, can I have another? Sure, no problem. This game was from 1971 between Beyen and Filip in Luxemburg. White has an attack but how does he win? 1. Bxg6 hxg6 2. Re7+ Rxe7 3. dxe7+ Kxe7 4. Rd8 Kxd8 5. h7 1-0 and the passed pawn pawn is unstoppable. Kudos to you if you solved this one. 4) What’s your favorite song to listen to before a match? Right now it has to be The Man by Aloe Blacc. Hall of Fame by The Script also puts me in a relaxed but battle-ready mindset. Don’t forget to send in your questions for next week’s edition of the Mailbag! You can leave them in the comments section of this post. Well, not literally. Chess is all year round, but everything will be in full swing after this weekend. This weekend I will play in the Kingstowne Chess Festival, and I will round out the month with the Washington Chess Congress and the Emporia Open. 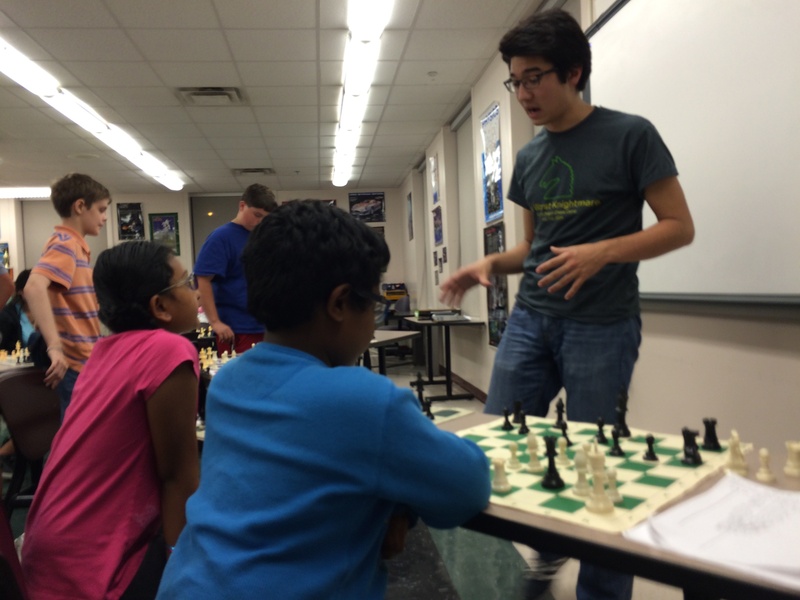 In addition to my tournaments, my school team is hosting its first free chess clinic of the school year on Monday, and will have a match against George Mason University on Wednesday. I’ve been wanting to do this for a while, but with five tournaments on my agenda between now and December, earning 55 points seems perfectly reasonable. By breaking the expert threshold, I could be ranked as high as 60th nationally for my age when I turn 18 in November. This was also one of my summer goals. However, with my only chance being my Virginia Closed opening round against Grandmaster Sergey Erenburg, I still have yet accomplish this feat. With a much more solid opening repertoire and tactical arsenal, I think I’m in a much better position to accomplish this goal. One of my long term goals is to earn the CM title before I head to college next year. Earning a norm now means getting a title later. With my chess calendar full, I’m looking forward to the competition. Hi everyone! I’m back with my third mailbag! As you know, each week I answer 4 questions that I have been asked since my last edition of the mailbag, either from coaching my high school team, or questions submitted by you guys, the viewers. Hopefully, you may find that some of these questions are similar to yours, and if not, maybe you’ll learn something new! 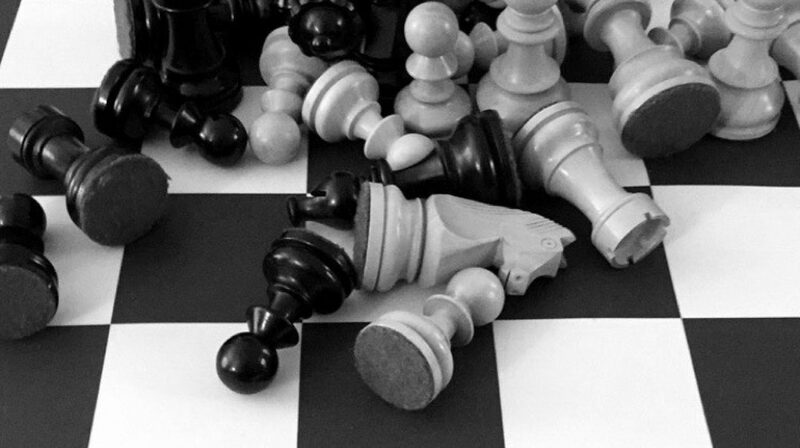 1) What is the best game of chess that you have seen this week? Well, with the 2014 Chess Festival ongoing in Baku, its hard to not choose any of those games. Furthermore, with all of my preparation for the Kingstowne Chess Festival, any of the games I have analyzed would also be a more than respectable choice. But which game do I choose? My friend and teammate Charles, rated roughly 1300, trumps all of them, winning convincingly against the Yugolsav in a G/30 game today. Maybe I’m a bit biased towards players on my team, but preparation goes a long ways. 7. f3?! A bit premature, as Black immediately punishes this attack with the following moves. The game goes on a few more moves but the result is clear, black’s tactic is decisive. Great play Charles! Just remember, opening preparation gets good games, tactical preparation wins games. 2) What’s a good read for this week? Broad question, but I like it! I’ll stick with books I have not mentioned on this blog before, so The Art of Planning in Chess: Move by Move by Neil McDonald is a great read for all players. If you want more tactical games, start with the Fire on Board series by Alexei Shirov, it just might change how you see tactical play. Lastly, I have to bring up Secrets of Chess Tactics by Mark Dvoretsky, which helped me break 1800 during the summer and early fall of 2012. This book takes a while to work through though, so be prepared to calculate like crazy! 3) Show me a tactic I can’t solve! This isn’t a question, but I’ll take it anyways. 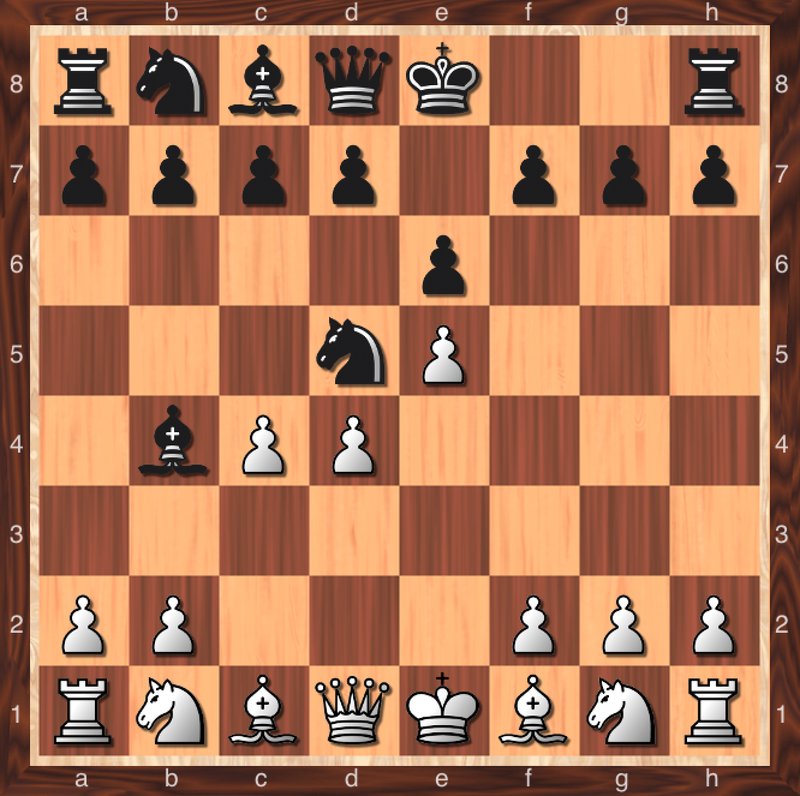 I’ve got White to move in this position, you tell me if the position is won, lost, or drawn! I mentioned Krabbé’s website, Chess Curiosities, a while back on my blog, and later found that Krabbé found White’s winning move here in a tournament game he played back in 1986. 1. Ke2! Nb6 2. c5 Nd5 3. a3 +- And white wins the piece. You have to wonder what made Krabbé stop himself from playing the all-to-natural 1. Bd2. Take your time in the opening, and maybe you will find moves like 1. Ke2! 4) You mention chess24.com as a good resource for news on chess. What are some other news outlets that you would recommend? So I personally like chess24.com services the most because I can watch tournament games live on their site. But I should add that chess.com also has high quality articles, especially those written by GM Greg Serper and GM Daniel Naroditzky. Chessbase also has a reputable website, as you can not only read news, but also connect to playchess.com, their own internet chess server. Those are the three main sources that I use to catch up on tournament events, but if you use different sources, please comment below! Feel like I missed something? Feel free to bring it up in the comments section below!